Our collection of horse products offers you a wealth of information to enhance relationship, holistic health and harmony - for you and your horse. You'll find books and videos to improve your horse's health through massage, acupressure and awareness, to herbs, nutrition and much more; ones that give you a better understanding of your horse's nature and needs, create clearer communication - on the ground or in the saddle, illustrate movement analysis and body awareness, and guide you through natural horsemanship. 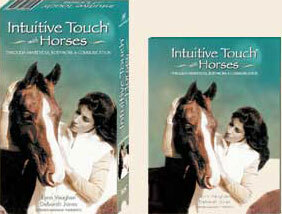 Are you looking for delicious herbal treats or inspiring stories that celebrate our lives with horses? Gifts for your horse-loving friends and family? We have a wonderful selection to choose from. We invite you to create a blend of products that will suit your needs!